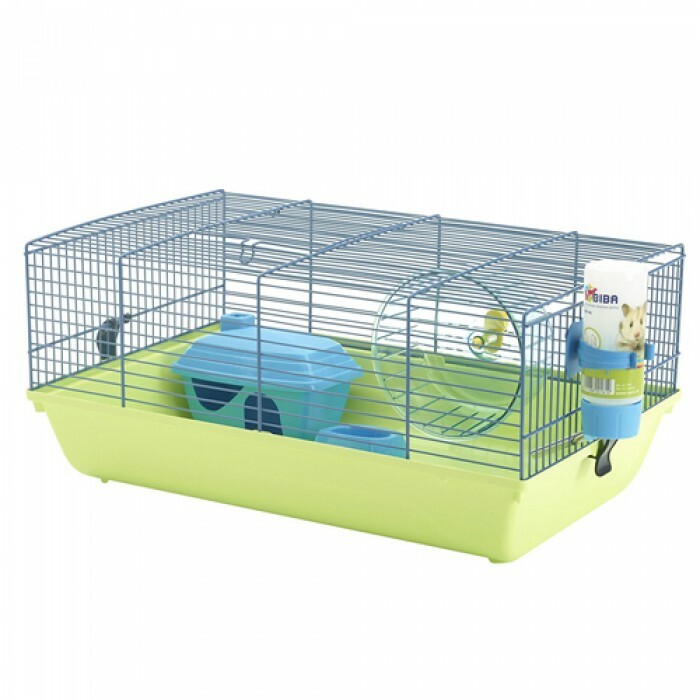 Product information - Savic Maratha Hamster Cage for hamsters. This cage contains a hamster house, a feeding bowl, an exercise wheel and a drinking bottle. The bright colours will definitely attract children. The base comes in lime green and fuchsia. The wire comes in brilliance blue.